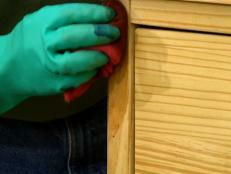 Clean the furniture with TSP to remove as much grease as possible. 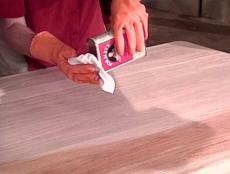 Then sand with 150-grit sandpaper so the stripping material will adhere well to the wood. 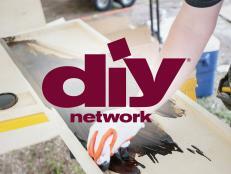 Use a tack cloth or damp cloth to remove sanding dust. 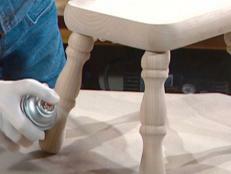 Use a paintbrush to apply stripping agent to the furniture as thickly as possible, working in one direction. Leave the stripper on the furniture for the recommended time. Use a putty knife or a nylon stripping pad to remove a test strip. If the paint or varnish doesn't come off easily, apply a second coat of stripper, and leave it on the furniture for the recommended time. 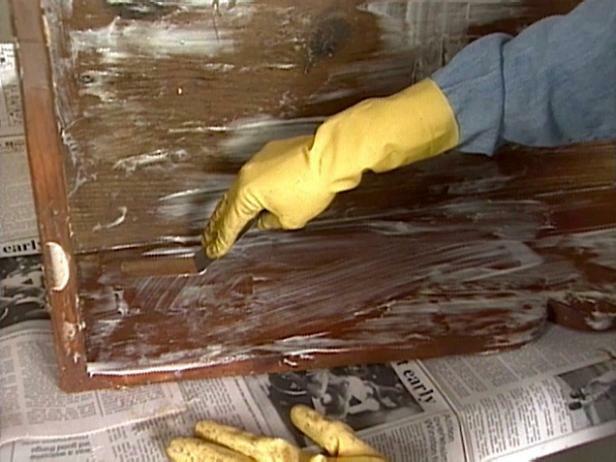 Remove as much stripper residue as possible with a putty knife or a stripping pad. 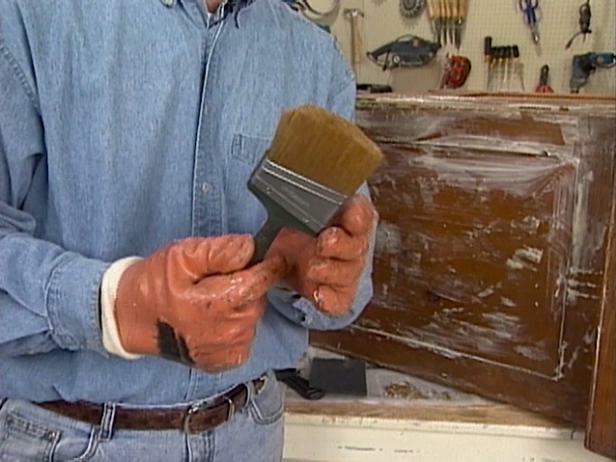 To remove residue from detailed areas, try using a large old paintbrush with the bristles cut short. Work with a dry brush first so the bristles will be stiff. Then dampen the bristles to remove any remaining residue. 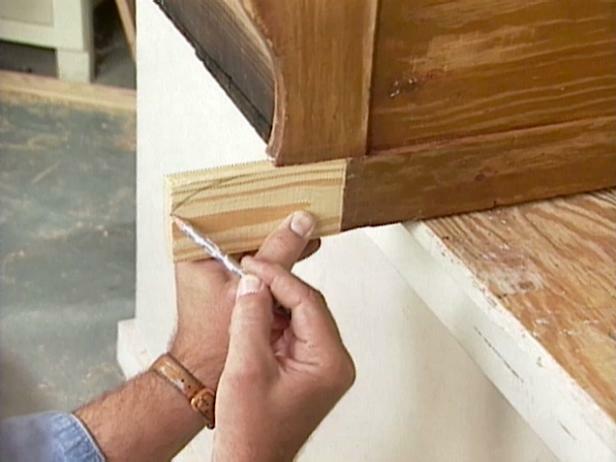 To remove stripper from spindles, try using cotton rope. After removing as much dry stripper residue as possible, use a damp rag to remove the remaining residue. When working with latex/water-based strippers, dampen the rag in water. 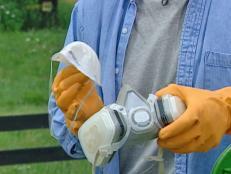 When using solvent-based strippers, dampen the rag in mineral spirits. 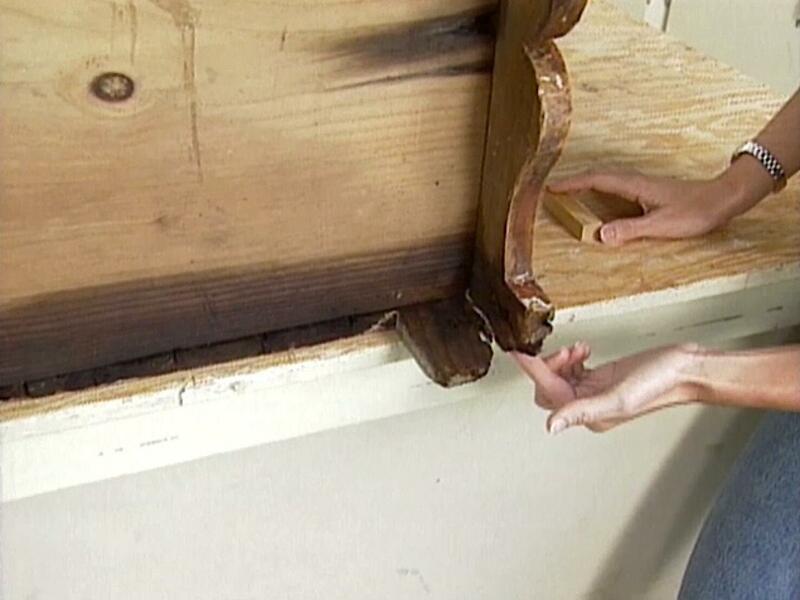 Allow the furniture to dry before applying new stain. The furniture might need some repairs. 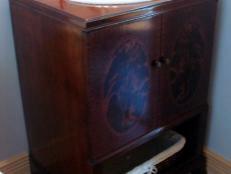 If so, keep in mind that the less the piece is repaired, the more value it retains as an antique. Before cutting off rotted wood, make sure to match the pattern. 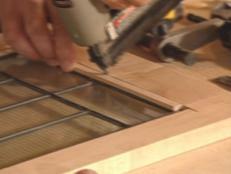 If possible, use the other side of the furniture as a template for cutting replacement pieces. 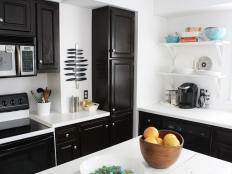 If replacing drawer or door hardware, look for knobs and hinges that are the same style and age as the furniture. Assemble replacement pieces, using glue and a pneumatic nailer. 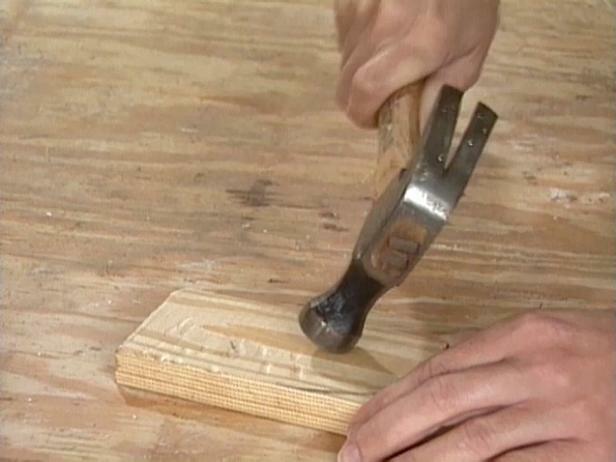 If a pneumatic nailer is not available, use a hammer and a nail set: just take care to avoid damaging the wood. Use a hammer to give new wood the distressed look of antique furniture. Make a few dents and dings here and there along the edge and the face of the wood. Another way to distress wood is by banging or rolling a rock on it. 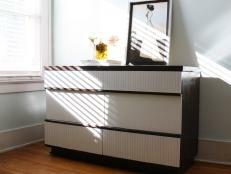 Stain new wood to match the unstained look of the original furniture as closely as possible. To layer the stain, start with a dark stain, add a lighter stain such as a light coat of antique white, apply another coat of dark stain, and then blend the piece with a blending pencil. 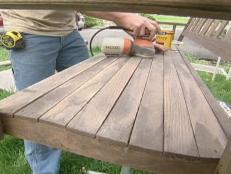 Mix stain into wood-filler putty before using it to cover nail holes. Some putty won't accept stain after it dries. 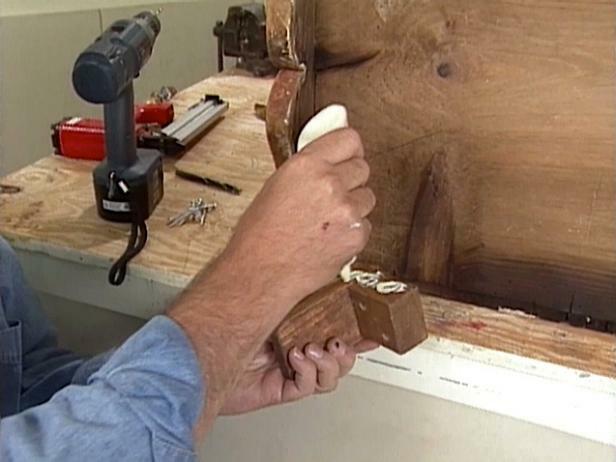 After you apply wood filler, attach replacement pieces to the furniture. If the replacement pieces will support the weight of the furniture, attach them securely with screws and wood glue. 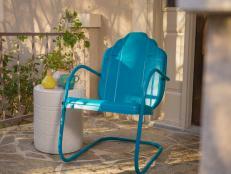 Sand the furniture to remove excess putty and smooth any frayed areas or damage from the stripping process. Sand with the grain of the wood, and apply equal pressure to forward and backward strokes. Use a tack cloth or a damp rag to remove sanding dust. 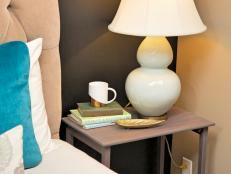 When the furniture is dry, move it to a well-lit area, and apply a new coat of stain. 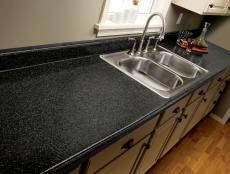 Apply stain with a lint-free rag, and wipe it off with a clean rag.